Anneli Knight heads to Covent Garden where some of England’s most talented opera singers perform – for coins. Covent Garden is the performance hub of Central London, home to the majestic Royal Opera House and surrounded by a smorgasbord of theatres and galleries. It is, simply, where you go if you want to see opera, musicals, drama, comedy or dance shows while you’re visiting the city. But as well as having the choice of dress circle tickets upwards of £200, you can also see world-class performances for absolutely nothing. The Covent Garden Market open-air performers have been intricately woven into the daily life of this part of London since the Punch and Judy puppet shows began in the square in the seventeenth century, with a reincarnation in its present form in the late 1970s. Today there are two stages – one for classical repertoire and the other for street and circus performers – offering an all-day revolving entertainment spectacle. This is not a spontaneous turf for buskers – there are rigorous auditions held for the coveted permanent licences and even casual performers must meet the highest standards. The classical stage is in the Lower Atrium (just below the Covent Garden Market stalls) where shoppers crowd over balustrades, lured by the melodramatic bellows of live opera or the playful riff of a violin. These professional musicians are prolific performers and when not at Covent Garden can be found upon illustrious stages, among them having performed at Glastonbury Music Festival, Wembley Stadium and 10 Downing Street. In the West Piazza, at the foot of St Paul’s Church, are the street and circus performers, ranging from the death defying feats of a semi-clad chainsaw-juggler to a tightrope walker who prances deftly between the church spires. 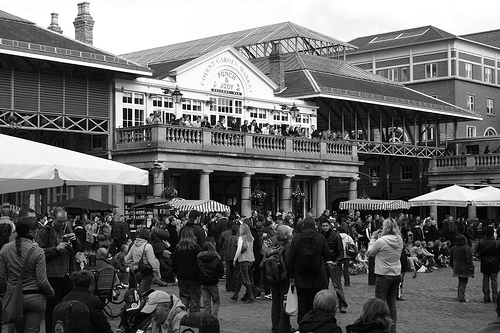 From high culture to high wire, it is all out in the open air at Covent Garden: going for a song. 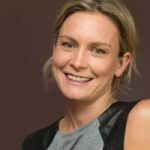 Anneli Knight is author of Flirting with Finance, contributor to The Age and Sydney Morning Herald in Australia and has recently completed her PhD in creative writing.